Luckily, there are apps that can help. 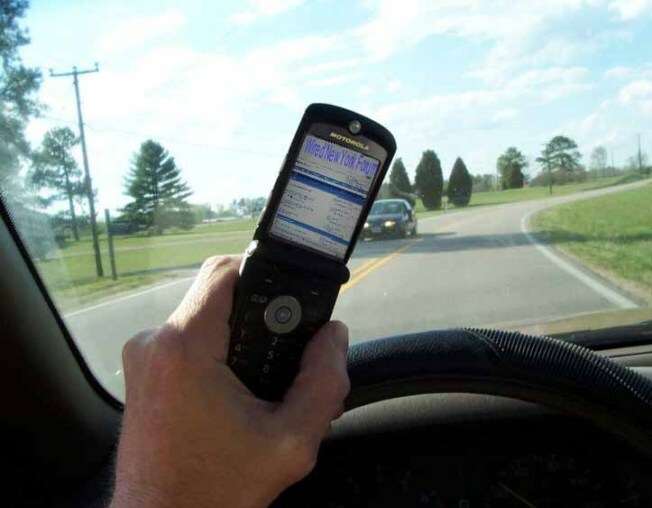 A texting and driving accident happens every five minutes in the U.S. It's illegal and dangerous to use a phone while operating a vehicle. So why do millions of us keep doing this dangerous dance of texting while driving? “You need to do it. You just can not NOT look,” says Loyola’s Quinlan School of Business Ethics Professor, Al Gini, who compares texting to an addiction like smoking cigarettes. Gini says, when you get behind the wheel the addiction becomes a danger to everyone on the road. Many cell phone providers offer apps that can disable phone functionality during travel. AT&T's is called DriveMode and it allows you to send auto-reply messages to the calls and texts you receive while on the road. If you just can’t miss an important call there is an option to allow up to five programmed numbers ring through. Unfortunately it is not available for iPhones, only Android and BlackBerry platforms. The AT&T app is part of the company's “It can wait” campaign. Technology is paired with a pledge to stop texting and driving. “It makes everybody think about what’s going on and hopefully becomes infectious and creates a behavior,” AT&T Illinois President, Paul La Schiazza said. About that pledge that pairs with the technology, Lieutenant Governor Sheila Simon took it. She said she wants to be part of cultural shift. We went for a ride with Simon. When she reached her destination, her calls, messages and emails had all waited. For this reporter, the problem was very close to home. This month, with a daughter now in driver’s education class, it was time to join the call for safety.